Abita Root Beer is made with a hot mix process using spring water, herbs, vanilla and yucca (which creates foam). Unlike most soft drink manufacturers, Abita sweetens its root beer with pure Louisiana cane sugar. The resulting taste is reminiscent of soft drinks made in the 1940s and 1950s, before bottlers turned to corn sugar and fructose. Some soft drink makers add caffeine to their product, but Abita is naturally caffeine-free. Add a scoop of vanilla ice cream for an old-fashioned root beer float. 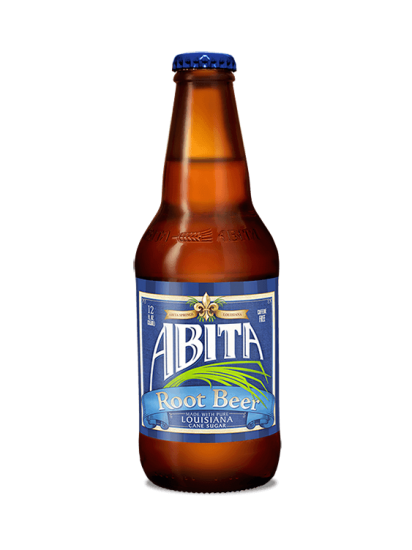 Abita Root Beer can also be used in cooking to create delicious glazes and sauces as well as cakes and other desserts, or you can keep it simple – just pour it into a frosty mug and slurp loudly through a straw.